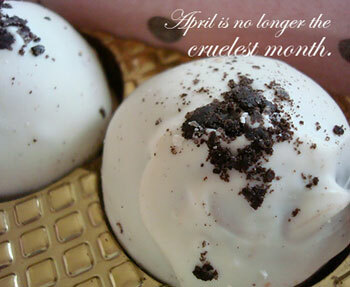 They say that April is the cruelest month. 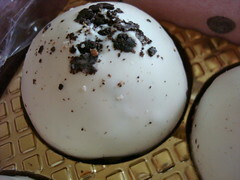 But at Cakespy, we have the perfect idea for making the month a bit kinder--sweet treats in the mail! The perfect thing to put a sparkle in the eye and a spring in your step, no matter how many April Showers you're up against. To that point, we've assembled a list of some of our favorite new discoveries in the world of shippable baked goods--delectable treats to send off, care-package style to friends and family...or perhaps to your entitled and deserving little self. Of course, once you taste these treats you might not want to share the care--but hey, sometimes you've got to be cruel to be kind. 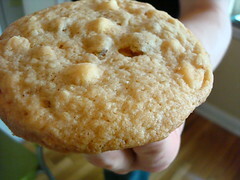 The Sweet Tooth Fairy: Have you ever bitten into a cookie and had to pause and sit down before continuing? If so, then you'll understand why we're so in love with their sugar cookies, which are dense, crumbly, and frosted with a rich, decadent frosting that will keep you coming back for more. We love their rich little cake truffles too--blurring the lines between fudge, cake and truffle, these are little gems of pure pleasure in your mouth. As a bonus, everything was beautifully and securely packaged in their parcel. 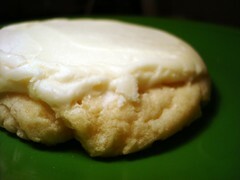 Sugar cookies are $28 per dozen (but they're BIG); cake truffles are $15 per half-dozen; these and more are available online at thesweettoothfairy.com. Cakespy Note: If cake truffles intrigue you, learn more about the art of cake truffles from a very talented friend of ours, Bakerella! She'll be showing Martha (you know, THE Martha) how it's done this thursday on Martha Stewart Living--find out more here! Sugarlicious NY: Specializing in old-school treats like cookies and brownies, these are classic home baking with a modern makeover, from beautifully designed packaging to classic flavors with just a little something different thrown in. Our favorites? The surprisingly subtle and pleasing "Red Hot" Brownies (brownies with a touch of chili and cinnamon), and the Ginger White Chocolate Cookies. Of course, old favorites like chocolate chip or oatmeal cookies are on hand too. 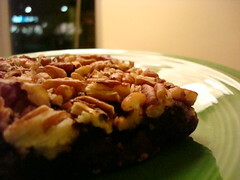 Cookies are $18 per dozen; $24 for 9 generous brownies; these and more available at sugarliciousny.com. Jennie and Vera's Cookies: (photos above care of Jennie and Vera's with thanks) Jennie and Vera's cookies are like little works of art, equally easy on the eye as they are on the palate. From the "walnut"--which looks like a shelled walnut and a macaron had a baby (and oh, what a baby: a cookie composed of ground walnuts, filled creamy walnut filling flavored with Croatian walnut liqueur) to the chocolate spice cookie, which marries Hungarian paprika with black pepper, ground chocolate and cocoa, we're pretty much hooked. Anyone you send these to is very lucky indeed! Prices range depending on cookie style; available online at jennieandverascookies.com. But if you're in the UK, don't despair--we have a good one for you too: Biscuiteers! Basically a biscuit-and-telegram service, you choose your cookie (sorry, biscuit) and your message, and it's sent to the recipient of your choice. Far less expected and much sweeter than flowers, in our opinion! Prices range from £8.00 for an individual message and treat, and go up from there; available online.